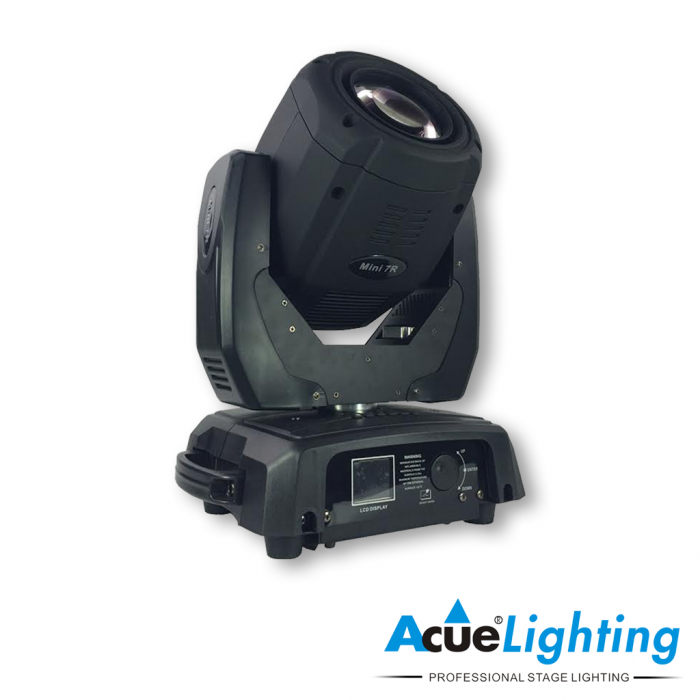 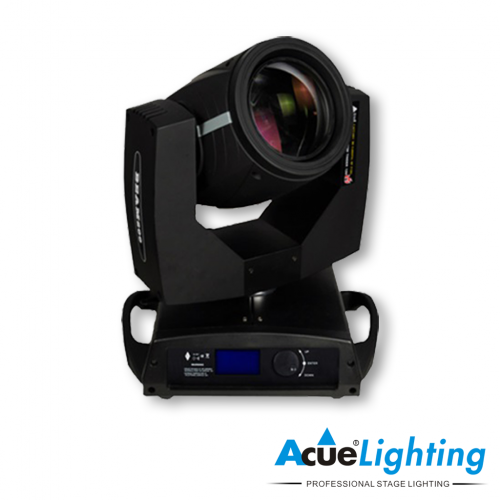 The Acue Lighting 7R Mini Beam 230W Moving Head has become the new standard of beam moving heads. 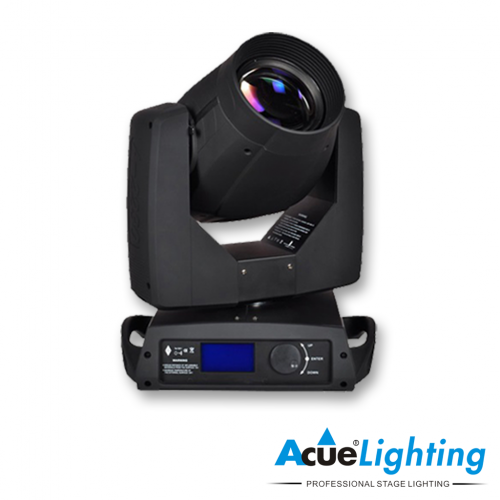 It is the miniature version of our full size 7R Beam moving head.The Acue 7R Mini Beam Moving Head features a 230w 7R lamp as its light source (2000 hrs), 13 colors/white, 14 gobos/open, 8 facet rotating prism, mechanical linear dimmer, mechanical focus control, mechanical linear frost filter control and mechanical shutter control. 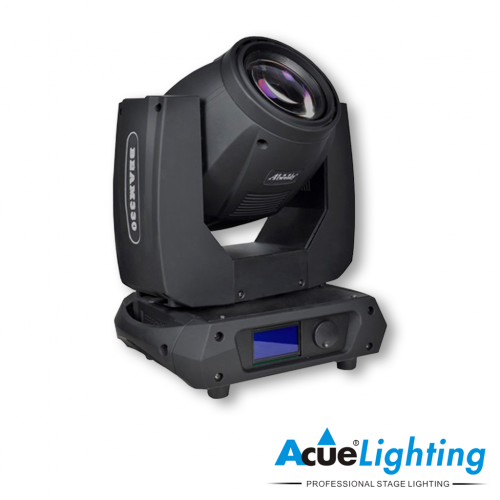 The Acue 7R Beam Moving Head has become the number one used fixture in any production/lighting company. 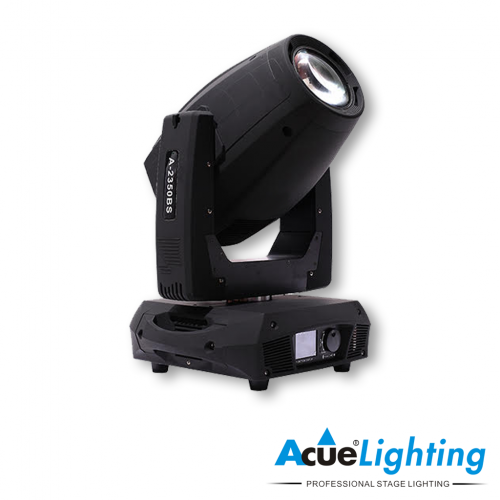 It is a perfect choice for permanent installations and production rental applications.